are available for purchase online in . . .
Save an additional 10% now thru 12/21/18 when you purchase from the Kroy Sign Store. MYSIGNCO at checkout to save! 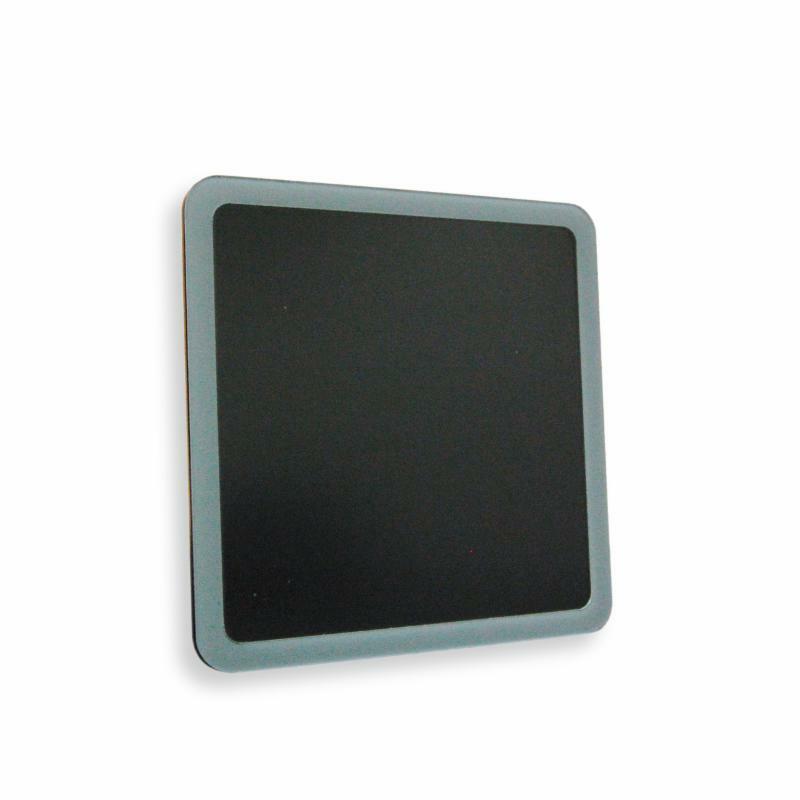 Durable injection-molded polystyrene plastic. 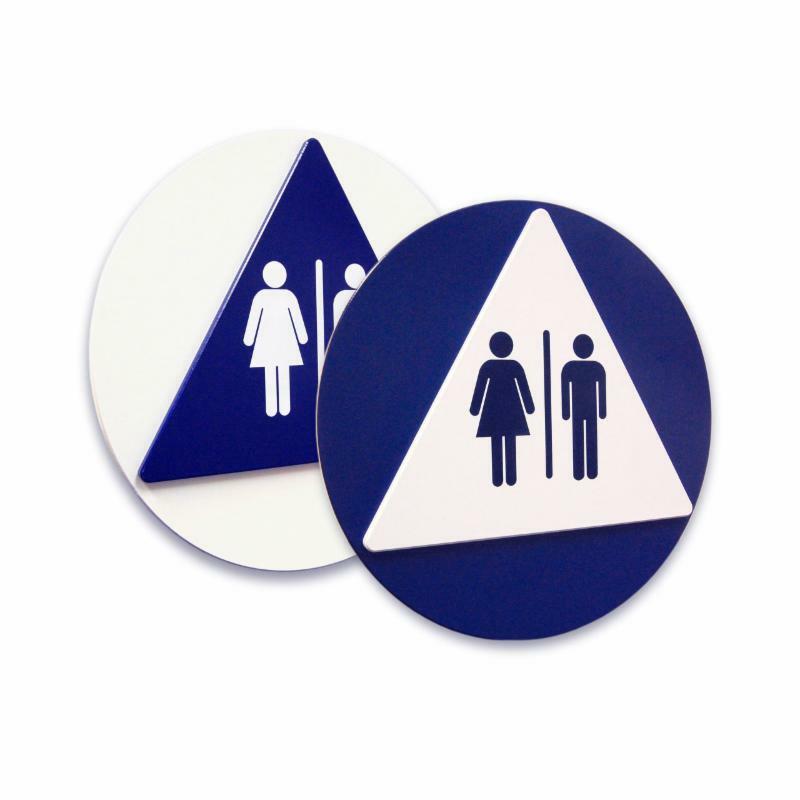 Solid surface with radius corners, raised white tactile graphics and text. Includes (4) adhesive squares. 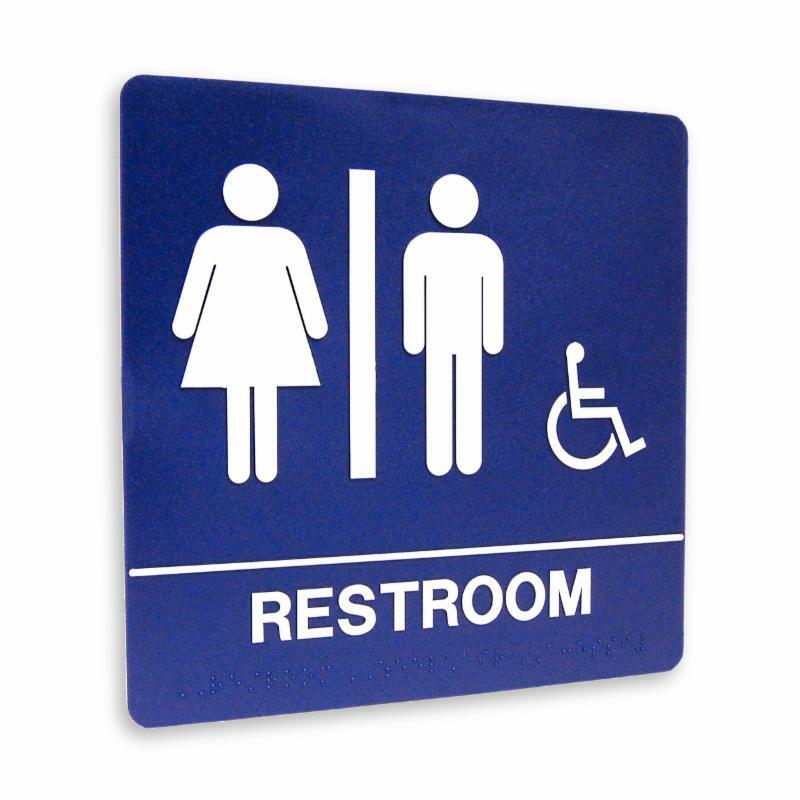 Title 24 California Building Code compliant. Interior and exterior rated. Acrylic Urethane finish with screen printed graphic. 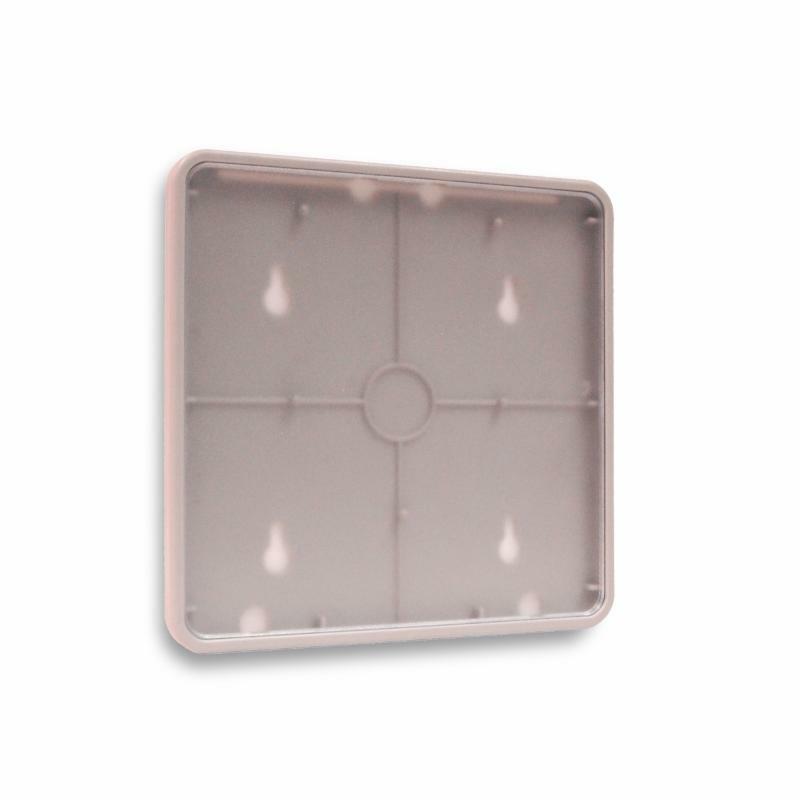 Includes (4) adhesive squares. 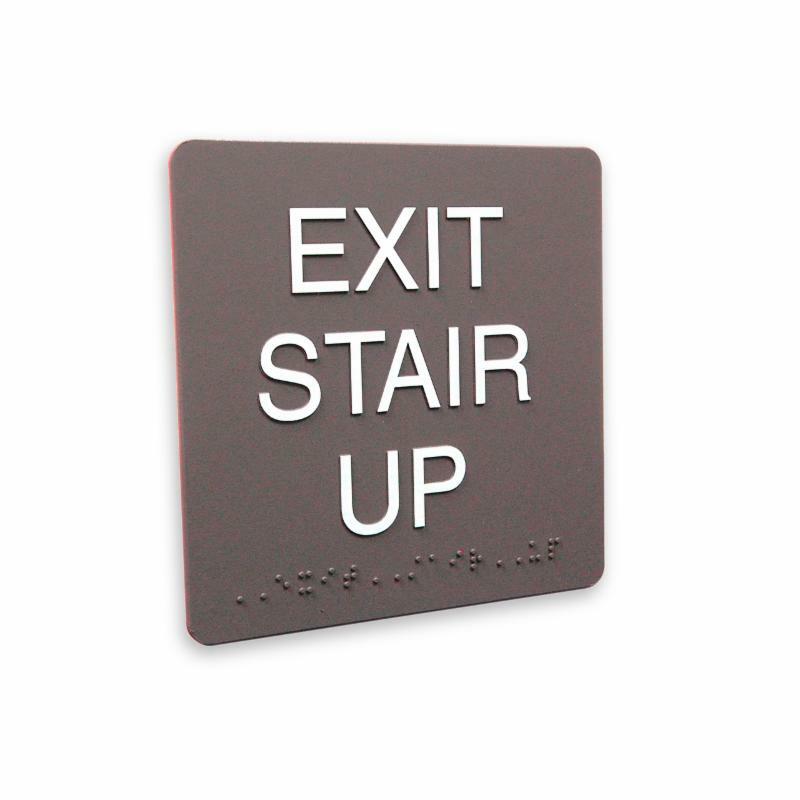 Injection molded sign frame with radius or square corners feature a removable UV resistant 1/8" molded clear acrylic lens. ( Insert sold separate ). 100% recyclable. Frames feature precision laser cut clear acrylic lens with 3/8" subsurface border, black back plate and changeable insert slot. Title 24 California Building Code compliant. Interior rated PETG Backed Photopolymer Tactile with raised white tactile text Includes (4) adhesive squares. 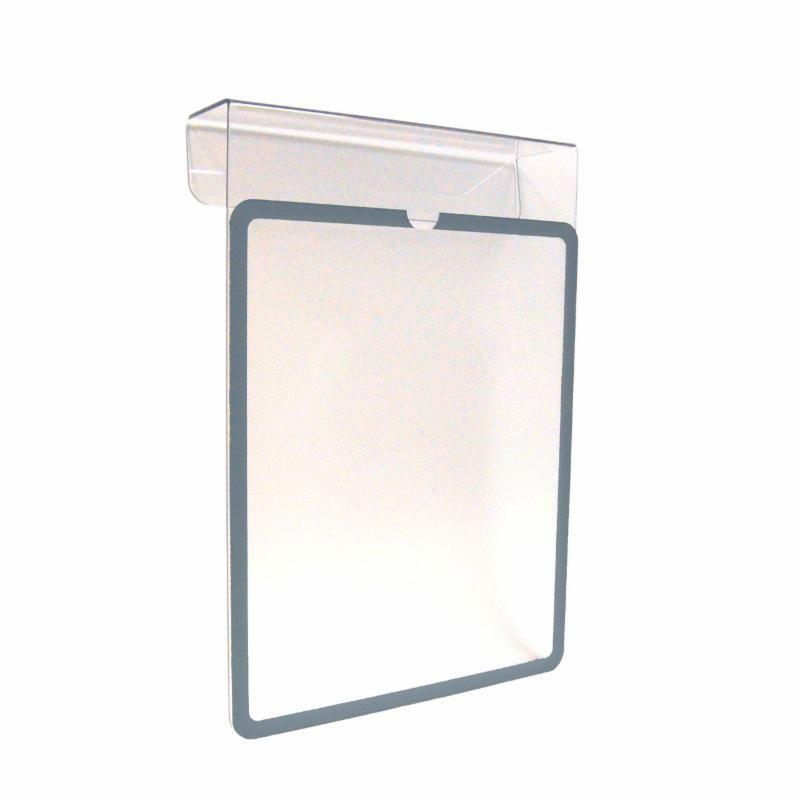 Frames feature precision laser cut clear acrylic lens with 3/8" subsurface border, mounted to a 1/8" clear polycarbonate bracket with changeable insert slot. 100% recyclable.